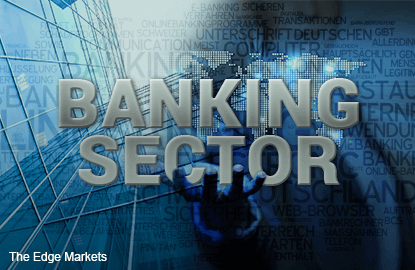 SINGAPORE (Dec 6): The global banking sector is finishing the year on a high note, with share prices up 3.6% in USD terms, compared with the 8.9% decline in the first quarter and the further decline of 3.5% in 2QFY16 due to falling asset yields. “The turnaround in sector performance reflects increased optimism about global growth, expectations of economic expansion together with prospects of higher interest rates, especially following in the US presidential election,” said UBS Global Research in a recent report. Banks in the US would likely be the best performers with a year to date improved performance of 12%, and emerging market banks following closely behind at 11.4%. The weakest performances would come from European banks which are forecast to finish 13.2% lower, Japanese banks which are expected to fall by 8% and Australian banks which would fall by 2.8%. But how would banks behave in 2017? Looking ahead, UBS anticipates loan growth to recover gradually at 5%, comparable to the 5.1% growth in FY16. While net interest margins are expected to remain stable at 2.65%, it could improve if asset yields continue to grow. Banks would likely continue their stringent cost control measures, and the brokerage has forecast a cost growth of 2.9% for next year. However, while banks in developed markets have a cost growth forecast of 0.4%, banks in emerging markets could have less success in cost cutting and have a cost growth of 8.1%. Asset quality would remain largely unchanged, with cost of risk increasing by 0.02 percentage points to 0.94% in 2017. Provisions would fall from 1.85% to 1.8% in emerging markets but increase from 0.48% to 0.52% in developed markets. Banks have been increasing their capital positions, with their level of tangible capital to risk-weighted assets reaching 13.7% by year end, improving from the 7.9% levels in 2008. They have also become less leveraged, as level of equity to total assets had risen from 5.3% to 6.9% over the same period. At the same time, while global banks’ return on equity had increased from 10.3% in June to 10.7%, UBS notes that ROE expectations remain low and is expected to grow gradually to just 10.7% in 2017 and 10.8% by 2018. That said, the brokerage believes the sector is currently fairly valued at 9.8 times earnings and 0.9 times book value. For the coming year, the bank’s sector performance could be affected by 4 trends, according to UBS. The US 10-year bond yield rose by 0.46 percentage points to 2.32% since the US presidential election, driven by the expectation that President-elect Donald Trump will commit to economic stimulus and bring faster growth. “Rising US Treasury yields tend to be generally positive for global banks' share price performance,” said UBS in its report. The combined balance sheet size of banks in the US and Europe had fallen by 40% to 50% since the global financial crisis, and UBs noted that deleveraging has been slowing down. “Should balance sheets stabilize, and in light of the potential reflation outlook, there could be upside risk given current expectations for credit growth”, said the brokerage. Driven by efforts to reduce operating expenses and improve earnings, coupled with technological advancements, banks could focus on reducing their branch networks in the new year. According to a survey by UBS, mobile banking is set to overtake internet and in-branch banking as the primary distribution channel, and higher mobile adoption would cut branch footprint by 7.3% and reduce costs by 7.6% over a three year period. The biggest theme would be the debate between re-regulation and de-regulation. The Basel Committee’s potential tightening of bank regulations contrasts with the US’ political rhetoric calling for deregulation of banking rules. “Deregulation in the US but tighter financial regulation elsewhere would likely provide a major structural advantage for US banks internationally, creating opportunities for market share gains and, potentially, pricing power over the medium term,” concluded UBS. To that end, the brokerage has an “overweight” rating for the US, an “underweight” rating for the EU, and a “neutral” rating for emerging markets given the “external uncertainties post the US election” including heightened foreign exchange volatility and protectionism fears.